Manufacturer of a wide range of products which include free standing glass shelving unit, warehouse shelving unit, shelving unit, wire basket shelving unit, wall shelving unit and book shelving unit. 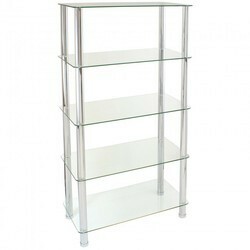 We are basically known for manufacturing an extensive range of Free Standing Glass Shelving Unit. Products offered by us are manufactured under the supervision of our highly experienced professionals in complete compliance with set industry standards using the high grade basic material. Offered product range is examined on set industry standards to make sure that offered array is free from all type of flaws. These products are also provided in varied options in order to meet the clients’ specific requirements. 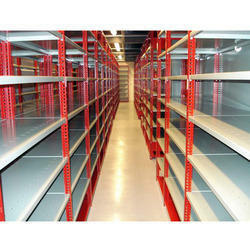 We are instrumental in assembling a wide combination of Warehouse Shelving Unit. Sponsored ourselves with sound pleasantries and gifted work force, we have risen as one of the main associations, offering Shelving Unit. 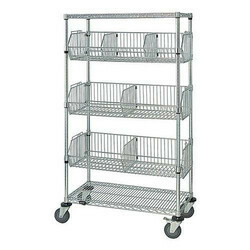 Owing to our expertise, we are manufacturing and trading a wide gamut of Wire Basket Shelving Unit. These products are utilized in industrial as well as household purpose as they provide an easy storage. Products offered by us can withstand all weathers and are an ideal alternative for storage. These products are appreciated among the clients for their resistance against moisture, smooth and durable surface finish. Clients can avail these products at reasonable prices. 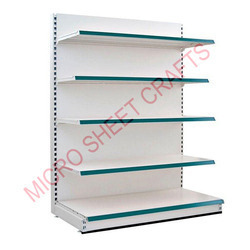 We are engaged in manufacturing a wide gamut of Wall Shelving Unit. 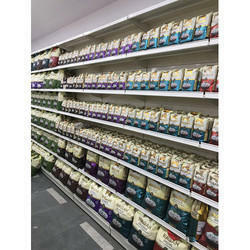 The offered product range is fabricated using high grade basic material and latest technology to meet every requirement of our esteemed clients. Our professionals procure high-grade raw material for the fabrication only from selected vendors of the industry. These products are also examined on set industry standards to eradicate all the flaws. Clients can avail these at nominal prices. 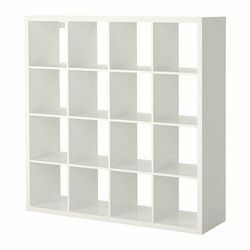 To serve the essential requests of our customers, we are occupied with manufacturing a subjective scope of Book Shelving Unit. 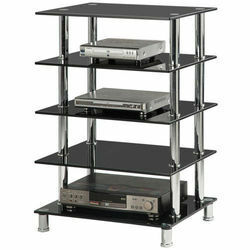 We are basically known for manufacturing and importing an extensive range of Glass Shelving Unit. Products offered by us are manufactured under the supervision of our highly experienced professionals in complete compliance with set industry standards using the high grade basic material. Offered product range is examined on set industry standards to make sure that offered array is free from all type of flaws. These products are also provided in varied options in order to meet the clients’ specific requirements. 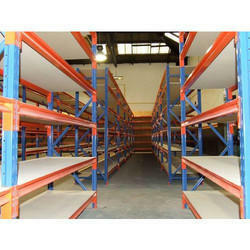 We are offering Long Span Shelving Units.